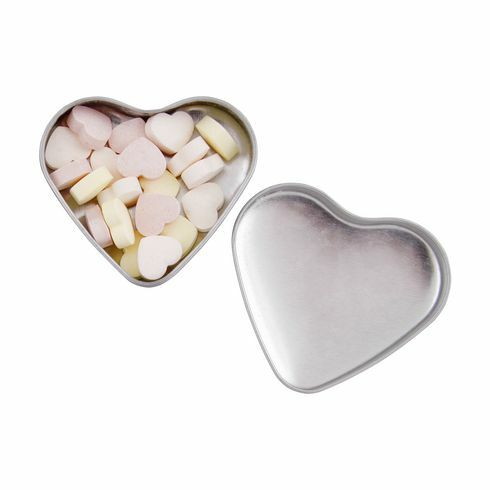 Heart-shaped metal tin with a high-gloss lacquer. Filled with approx. 24 grams (24 pieces) of heart shaped candies.